When we moved into our house, the small side yard was pretty much unusable. So we called Morning Dew and they did an amazing job transforming our yard into a wonderful place that we love spending time in. Now we have a beautiful patio that we sit on often while eating dinner or watching the kids play in the grass. We absolutely love it! 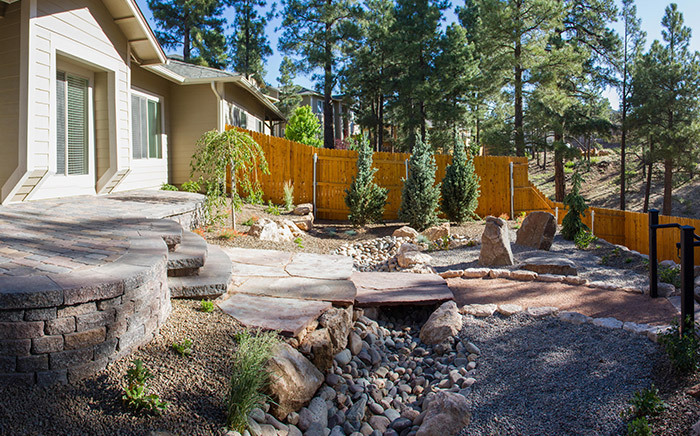 Northern Arizona’s combination of high elevation and Southern latitudes offers a unique planting pallet for your landscape. Selecting plants that are both drought and cold tolerant, particularly native species, will give you a beautiful landscape while conserving our limited water resource.